On April 18, 2018, French oil major Total S.A. announced the acquisition of 74.33% of Direct Energie’s share capital in a transaction valued at approximately €1.4bn. At a price of €42 per share, the offer values Direct Energie at approximately 12.5x its expected 2018 EBITDA. This transaction will allow Total to continue its expansion into the residential gas and electricity market in France and Belgium. Total S.A. operates oil and gas production facilities, service stations as well as refining and chemicals sites in over 130 countries. The firm covers the entire value chain ranging from discovery to marketing of energy in a variety of forms. Today, Total counts 1.5m clients in its portfolio, employs over 98,000 people and manages 903 consolidated subsidiaries to provide consumers across the globe with energy. The company has historically been very active in terms of M&A activity. In 2011, it acquired a 64.65% stake in the photovoltaic firm SunPower for $1.38bn. In 2016, the firm purchased French battery manufacturer Saft Groupe in a transaction valued at €1.1bn. Furthermore, in 2017, Total agreed to buy liquefied natural gas assets from Engie S.A. for $1.5bn and also acquired Maersk Oil for $7.45bn. In FY2017, the firm reported total sales of $171.5bn, compared to $149.7bn in the previous year. Total also announced improvement in net income, which grew by 39.3% YoY, from $6.20bn in FY2016 to $8.63bn in FY2017. Direct Energie S.A. is the third largest French electricity and gas supplier, progressively expanding into the Belgian energy sector since 2014. Today’s group emerged as a result of the merger of Poweo and Direct Energie in 2003. The company now serves more than 2.6m customers and delivers a record 22.6 TWh of energy per year. Direct Energie operates in all parts of the energy value chain by being involved in electricity and natural gas generation, supply and distribution, as well as renewable energy. It has focused on technical expertise, the excellence of its customer relations and ability to innovate to foster further development. In addition to that, the Group focusses on vertical integration in order to enhance margins. The business model has proven successful in the past years, with the firm experiencing strong growth in both revenues and margins due to an increase in residential segments as well as sustained customer acquisition. In FY2017, the firm reported total revenues of €1.97bn, a 16.2% increase compared to the previous year. Direct Energie also reported a gross margin of €287m in 2017, compared to €234m in 2016 (+23% YoY). Lastly, in FY2017, the firm recorded an EBITDA of €143m (+21.2% YoY). The Oil & Gas industry is characterized by the subdivision into upstream and downstream business activities. Upstream consists of exploration and the subsequent operation of wells to bring oil or gas to the surface. Downstream on the other hand covers the processes of refining petrochemicals and specialty chemicals as well as the trading and shipping of oil. Additionally, it includes distributions, marketing and services segments which bring the product to market. The low oil price in the recent years has caused a wave of consolidation in the industry, especially within the upstream component, leading to mergers and debt restructuring across the board. Now that operations are more cost-effective and prices are increasing again, profits, along with free cash flows, are rising accordingly. This allowed companies to start investing again and several energy giants have decided to expand their scope in the electric utilities sector. Within the downstream portion of the value chain, the slowdown was weaker and alternative sources of energy appear to be fruitful investments. Especially in Europe, over the past decade, policy makers have created both legislation and business incentives such as subsidies and research grants to reduce the sector’s carbon output. Both Total and Royal Dutch Shell, among the largest energy groups in Europe, have been expanding into the consumer gas and electricity markets as part of their wider strategies for shifting to a lower-carbon energy system. This also serves to hedge against the risk of oil price fluctuations and helps to stay ahead of the market in terms of innovation. 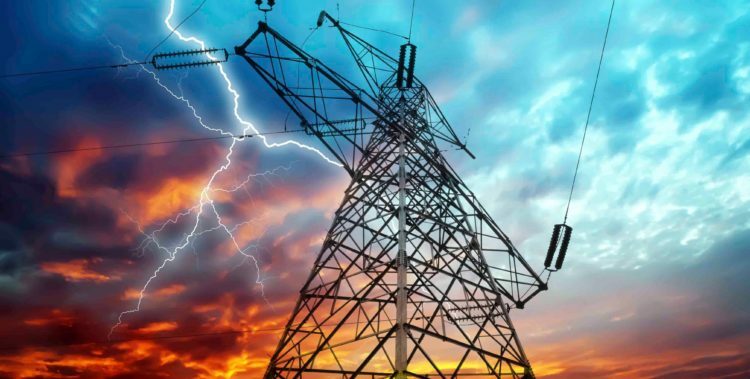 Furthermore, new electric distribution networks will also be required to connect renewable generation sources like offshore wind or solar arrays and the introduction of smart grids may further increase investment requirements. Energy storage is expected to have substantial impact on the entirety of the electricity value chain as it has the potential to substitute aging power plants, enhance existing transmission and distribution systems and thus reshuffle entire energy markets. On April 18th, Total S.A. announced an agreement for the proposed purchase of 74.33% of Direct Energie’s share capital. The French oil company offered a 30% premium with respect to the value of the shares on April 18. The total value adds up to roughly €1.4bn, which represents an estimated valuation of 12.5x Direct Energie’s expected EBITDA for 2018. Once the acquisition is completed, Total intends to file a tender offer with the Autorité des marchés financiers, the French financial market authority, offering the same price – €42.0 – for the shares still traded on Euronext Paris. If the percentage of shares not tendered does not exceed 5%, Total expects to request a squeeze-out. The transaction is expected to be completed during the third quarter of 2018 and it will be financed through Total’s available cash on hand. The transaction is subject to the approval of the European Commission, the responsible antitrust authority, and to the information and consultation process of the relevant employee representation groups, as required by law. As the world turns towards green energy, big oil companies face an increasing threat over lower demand for high carbon energy sources in the long term. Climate change and pollution are the most important reasons for the shift-away from traditional energy sources such as coal and oil. Europe’s three biggest oil companies, Shell, Total, and BP have been adapting their strategies to fit this new scenario: for example, Royal Dutch Shell has been the protagonist in the shift, announcing a commitment to invest $1bn – $2bn into “new energy” every year until 2020. Total, however, has not fallen behind and sees in the gas and distribution industry a long-term opportunity to hedge from the oil crisis. The acquisition of Direct Energie comes after the company bought Belgium’s energy provider Lampiris in 2016 and part of the US renewable energy company Eren. It would hence continue the firm’s efforts to develop a low-carbon strategy by developing the electricity and gas generation and distribution in France and Belgium. The deal would also help to consolidate Total’s entrance in the French distribution market by combining its current 1.5m natural gas and electricity customers with Direct Energie’s 2.6m customers. Total targets to serve 6m customers in France and 1m in Belgium by 2022. The move would further improve the French oil company’s positioning within the power generation segment by combining the 1.35GW generated annually by Direct Energie – 800MW of which come from gas and 550MW from renewable sources – and 900MW generated by Total. Beyond the numbers, the deal would make Total France’s third-largest player in the energy supply market. Due to an increase in competition, the dominance of EDF and Engie has recently been contested and Total would additionally emerge as the leading alternative provider of energy. Finally, while the profitability of renewable energies is still being questioned, gas fares better in terms of profitability and is seen as the clean alternative to oil and coal. Total’s strategy thus seems to be appropriate for the challenges it will have to face in the medium-term and beyond. On Wednesday, immediately after the announcement, Direct Energie shares jumped 30% to €42.06, catching up with the €42 per share offered by Total. The reaction was also positive for Total itself, increasing from €48 per share (level around which was floating since the beginning of April) to more than €50 per share. The market welcomed the deal as it is perceived as coherent with Total’s strategy and it follows a series of deals aimed at reinforcing its positioning in the less polluting part of the energy producer’s spectrum. Direct Energie was advised by Rothschild & Co., while Lazard acted as financial advisor to Total.